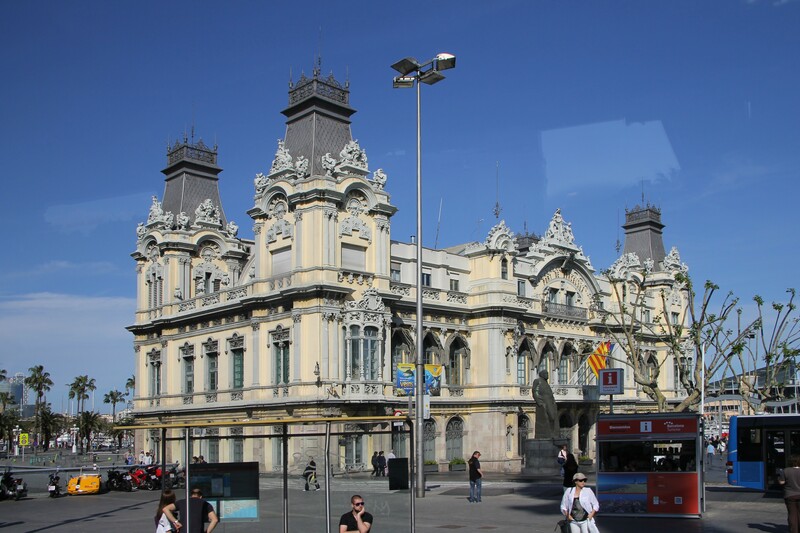 My first acquaintance with the Catalan capital turned out to be very short and we can say "contactless". 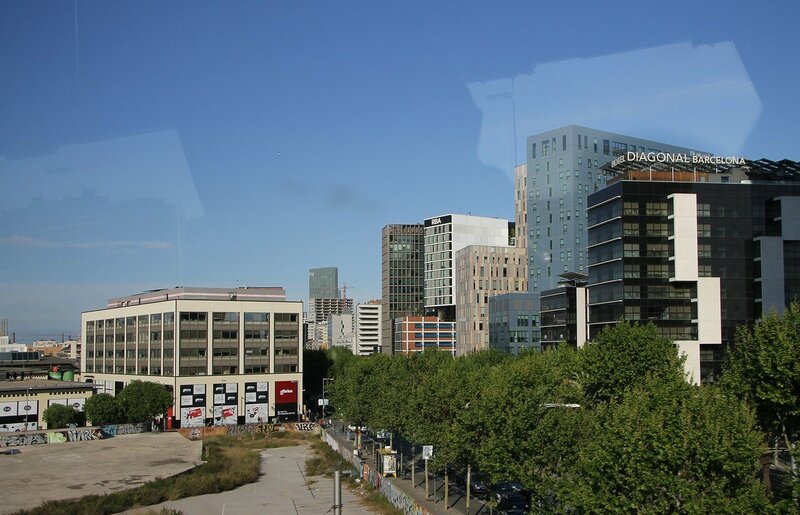 It was just a transit passage, so I got my first impressions of the city from the bus window. Of course, so get an idea of the huge and famous city is impossible, but something to see happened. 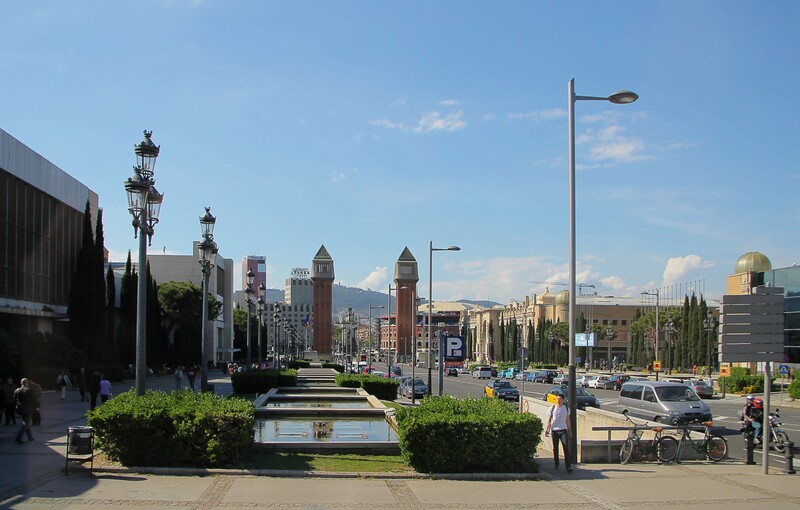 We entered Barcelona on Avenida diagonal, the longest street of the city, a straight line crossing it from west to east. 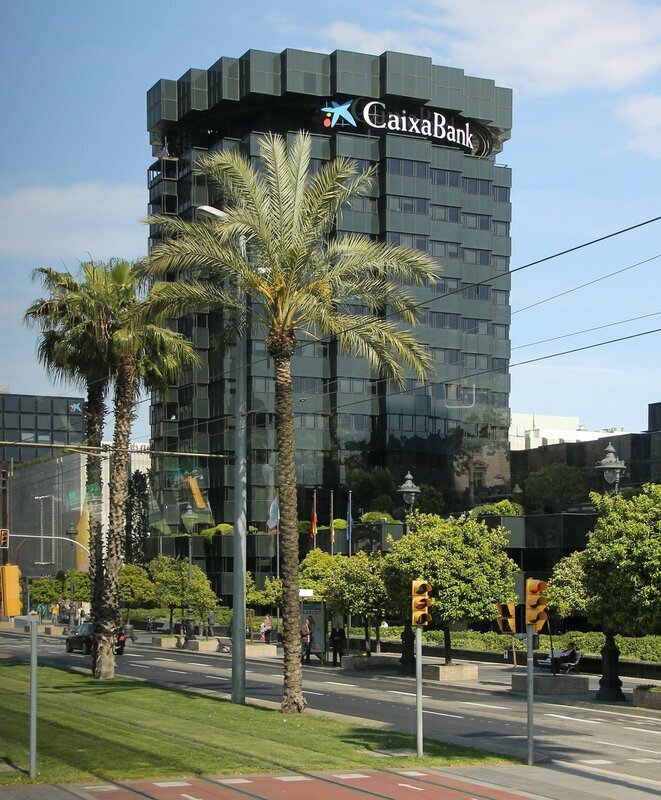 The Les Corts district, Plaza of Maria Cristina, headquarters of La Caixa bank. 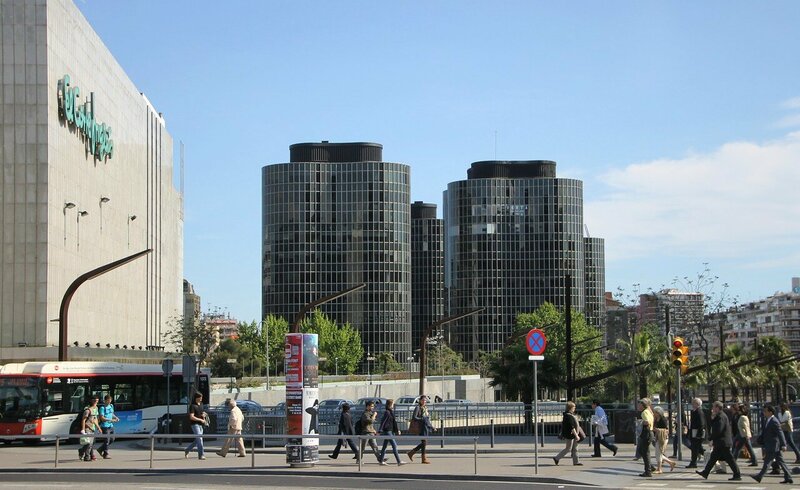 The Department store El Corte Ingless and the complex of office buildings Edificios Trade ("Trade house"), built in 1965. 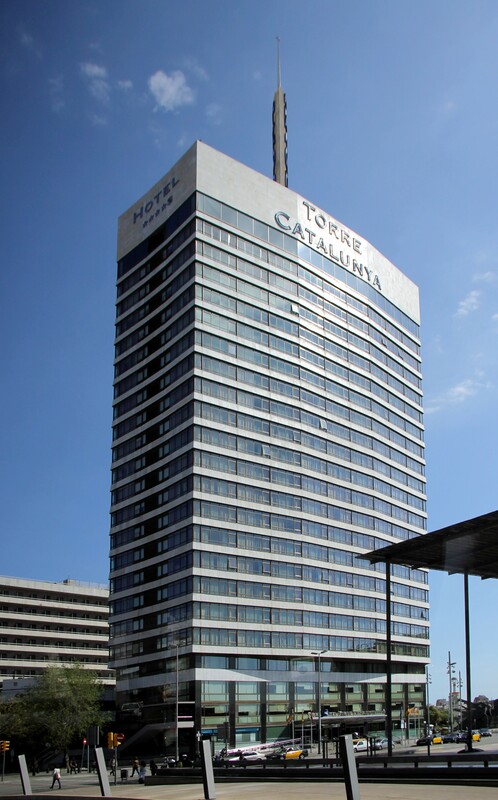 Then we turned to Carrer de Tarragona, a business center with several tall building. 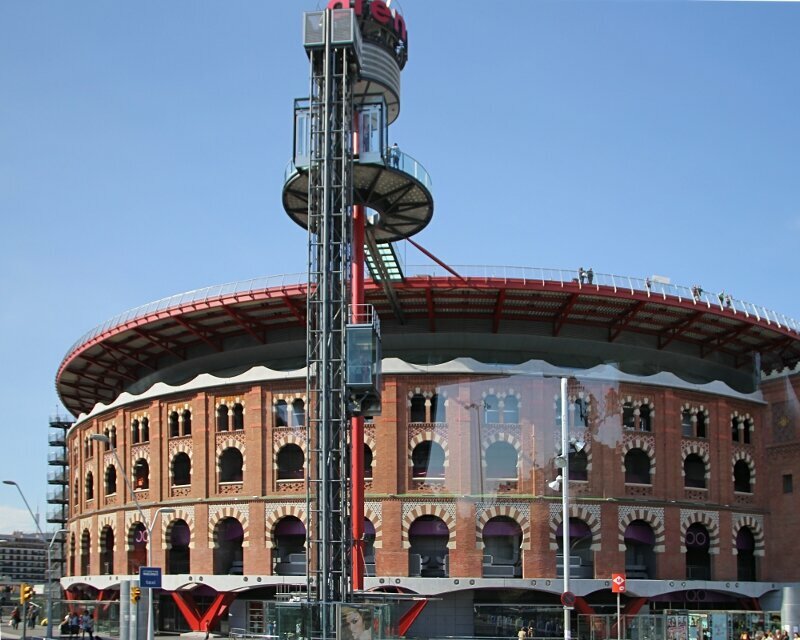 Plaza of Spain, the Arenas de Barcelona built for bullfighting, and after the ban of korrida in Catalonia, the bullring was renovated into a shopping center. 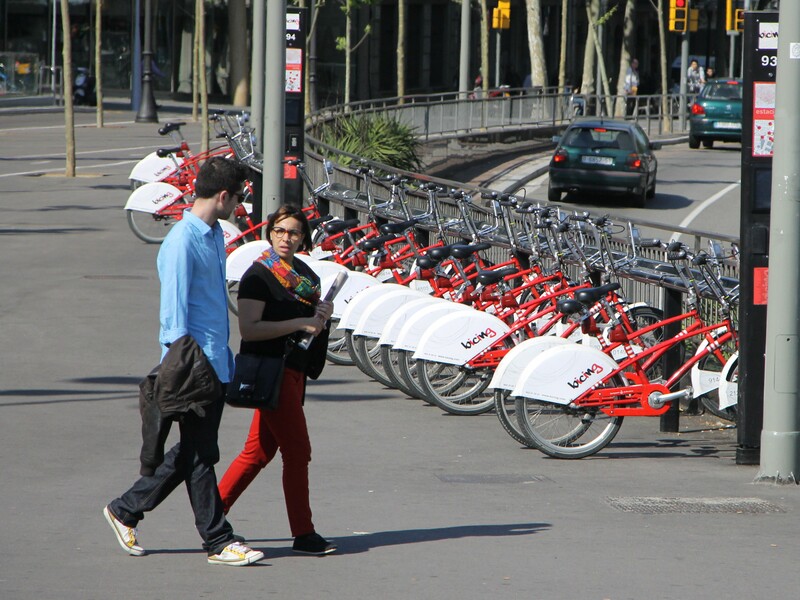 Automatic bicycle rental of Bicing company, having a map of this company you can take the bike and after the trip leave at any other Parking lot, which is in every lively place. 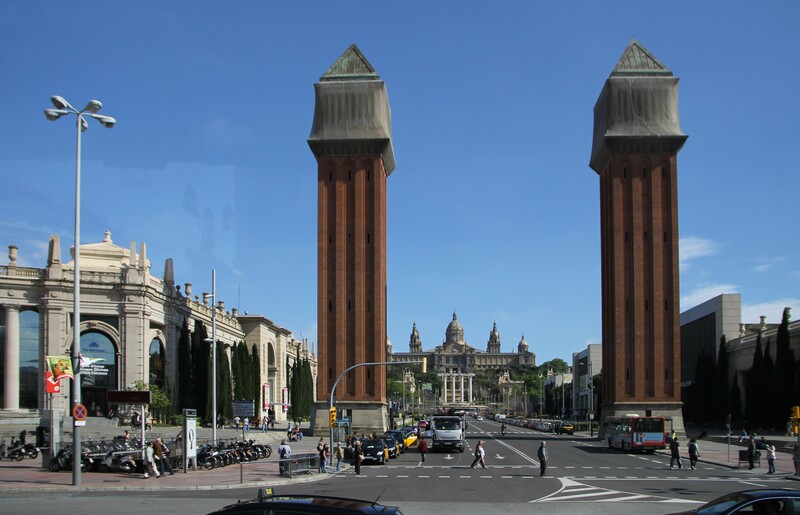 Venetian towers, reminiscent of the bell tower of San Marco, built for the international exhibition in 1929. 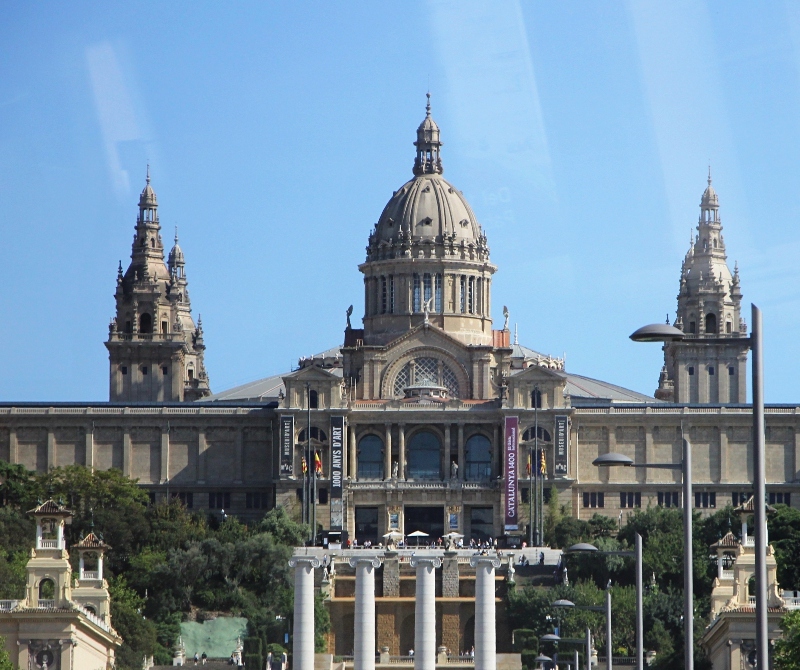 At the end of it stands the monumental building of the National Museum of art. Then our bus goes up the Montjuic mountain, where the amazing structure of the Telecommunications Tower whitens. 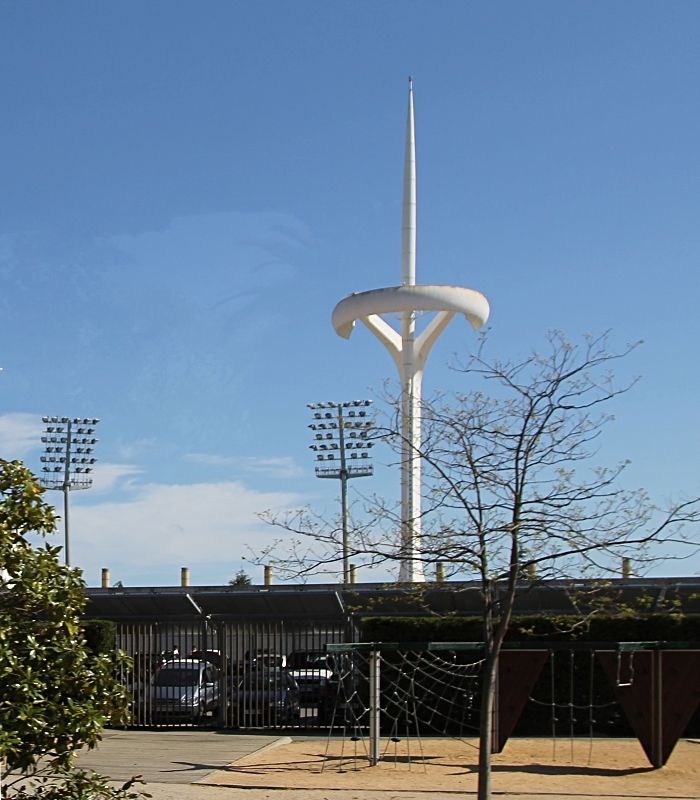 This area was built for the 1936 Olympic games and the main street bears the corresponding name, Avinguda de l'Estadi. 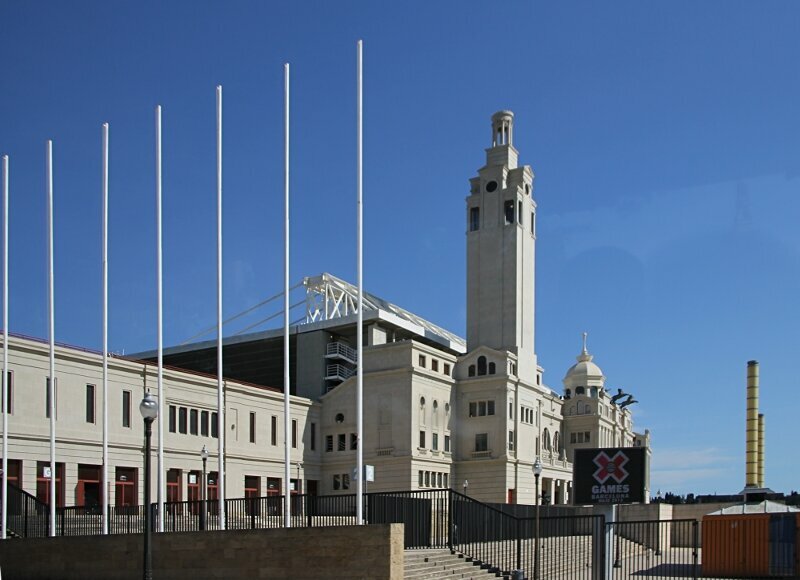 The main entrance to the Montjuic stadium of Lluis Companys, also built in the 30s and reconstructed for the 1992 Olympics. 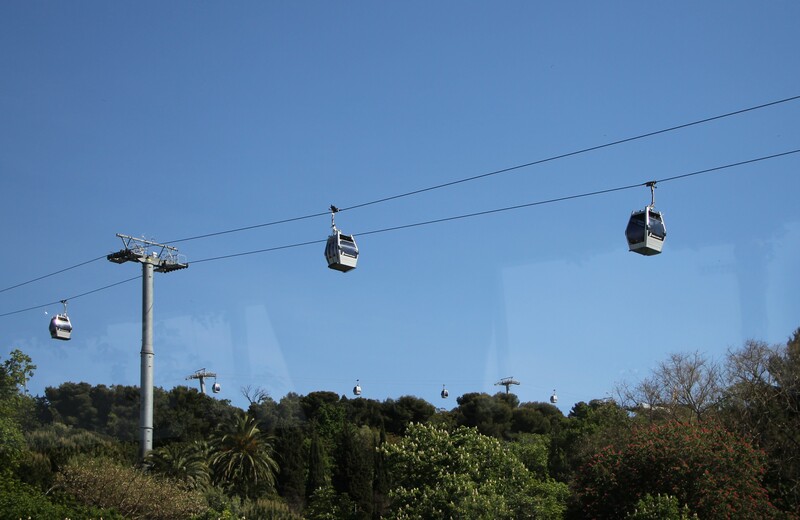 Teleferik de Montjuic cable car, it is possible to climb to the top of the mountain, in the fortress of Montjuic. 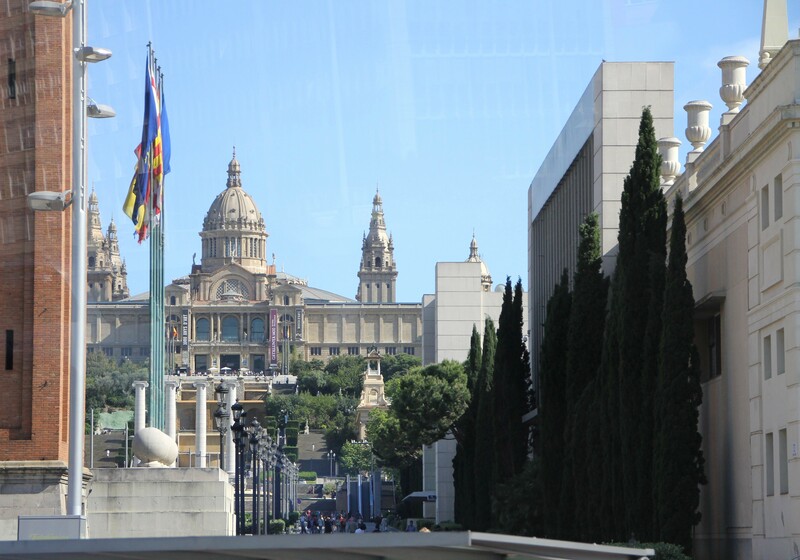 The line runs through the picturesque gardens of Montjuic. Go down to the port. 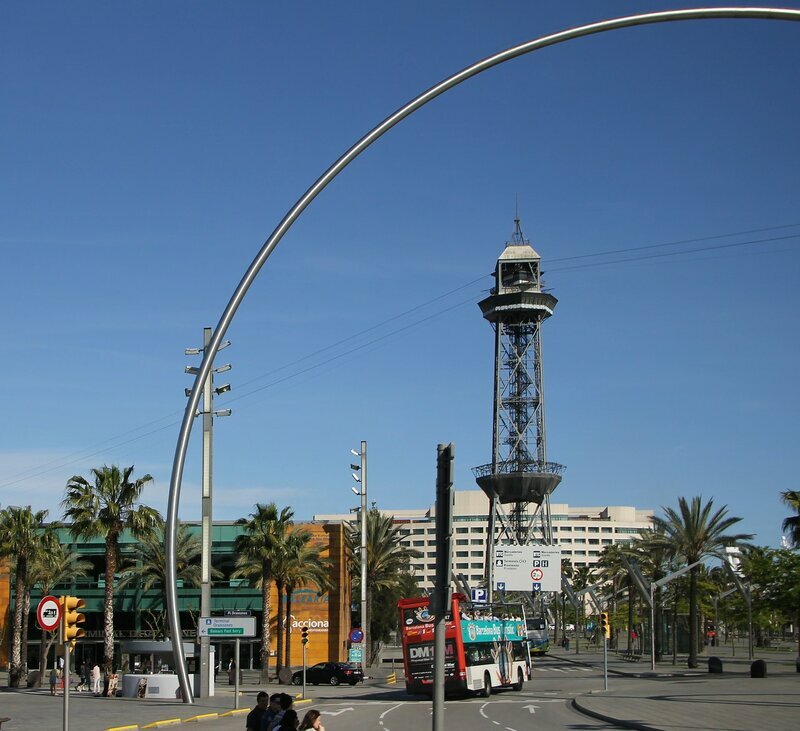 The 18C pier and Jaime I tower. 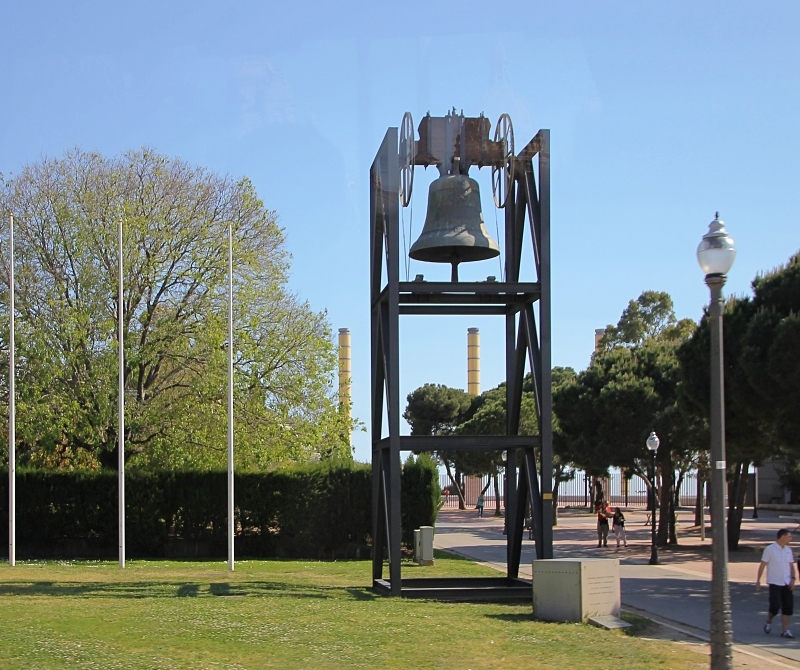 It is the mid-point of another cable car, Teleferic del Port, linking the Montjuic gardens with Barceloneta quarter. 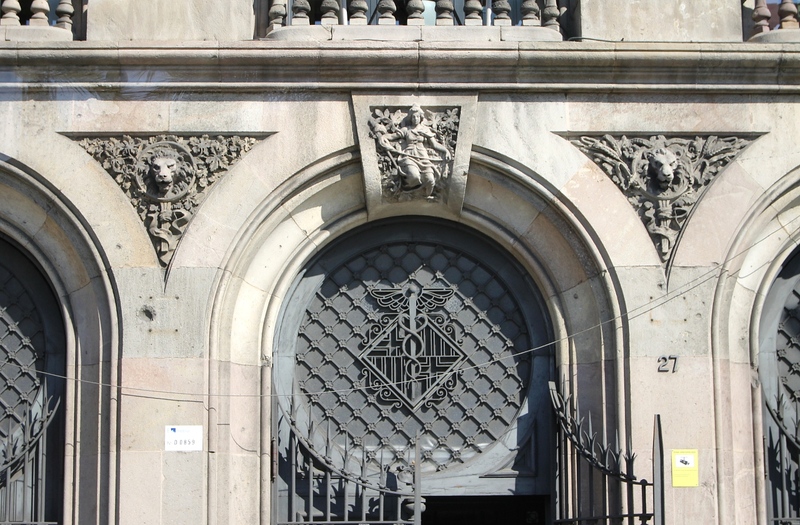 The old and richly decorated building of port customs. 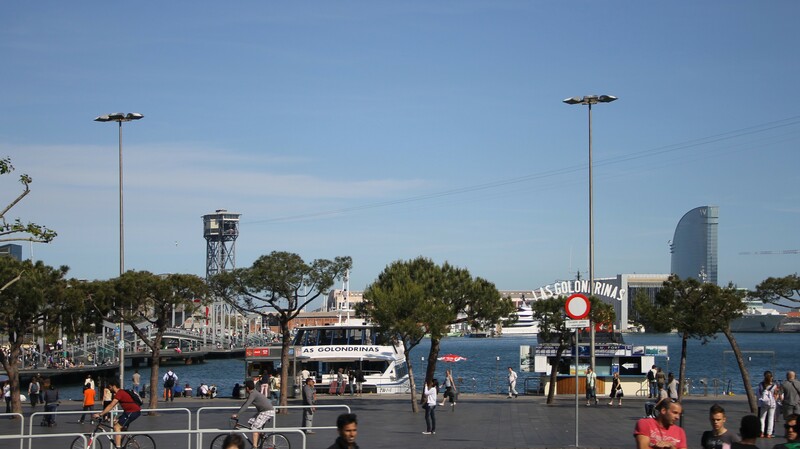 Drassanes embankment, from here you can take a boat trip to the Cruise and Olympic ports. The building of the port authority. 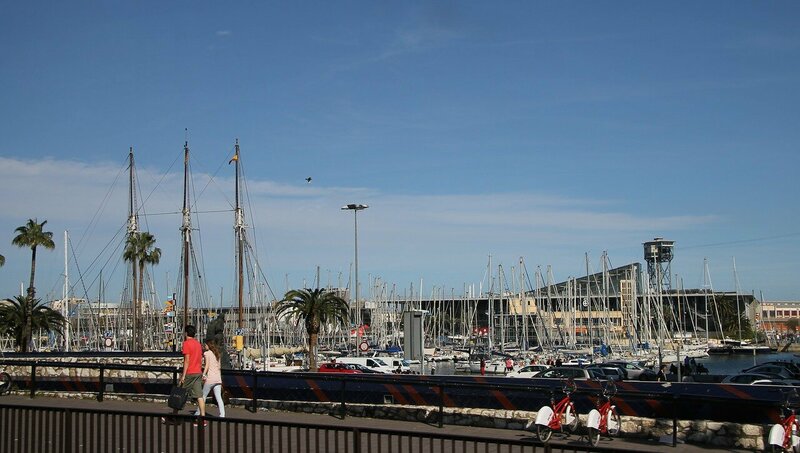 Port Vell - "Old port". In the old times, a trading harbor, and now almost the entire water area is occupied by berths for yachts. 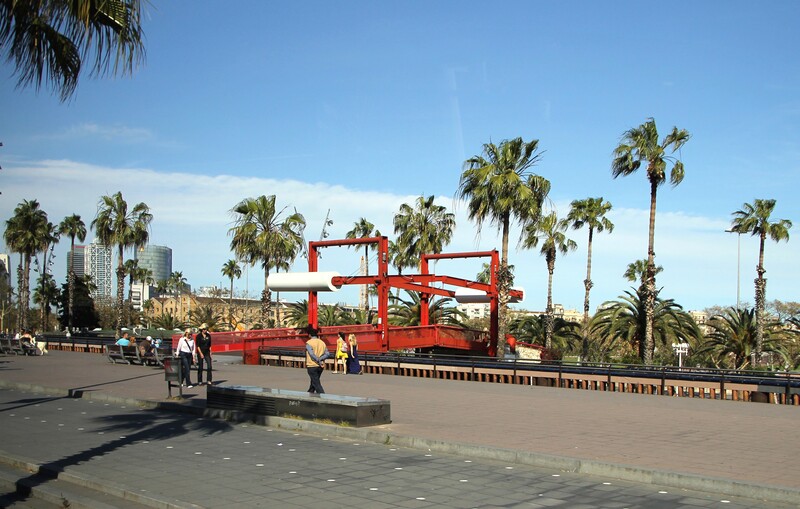 Boulevard of Columbus (Paseo Colom) with red drawbridges leading to the promenade Moll de la Fusta. 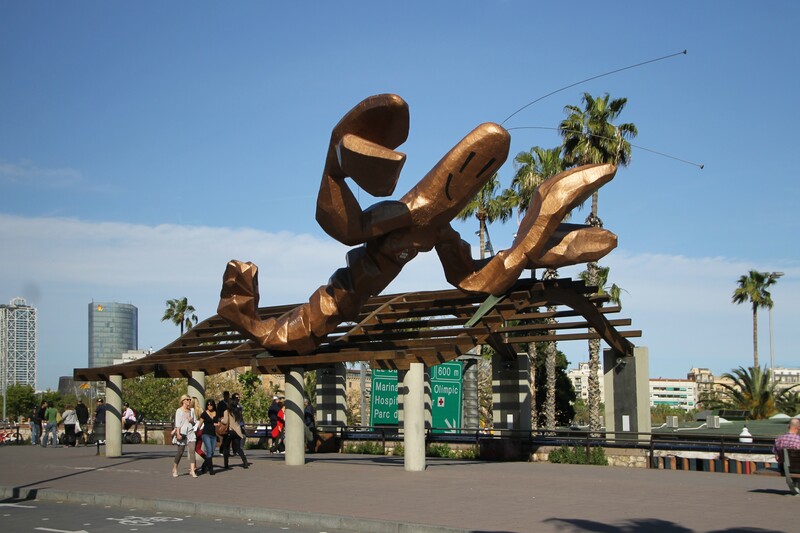 Smiling Shrimp, one of the symbols of Barcelona. 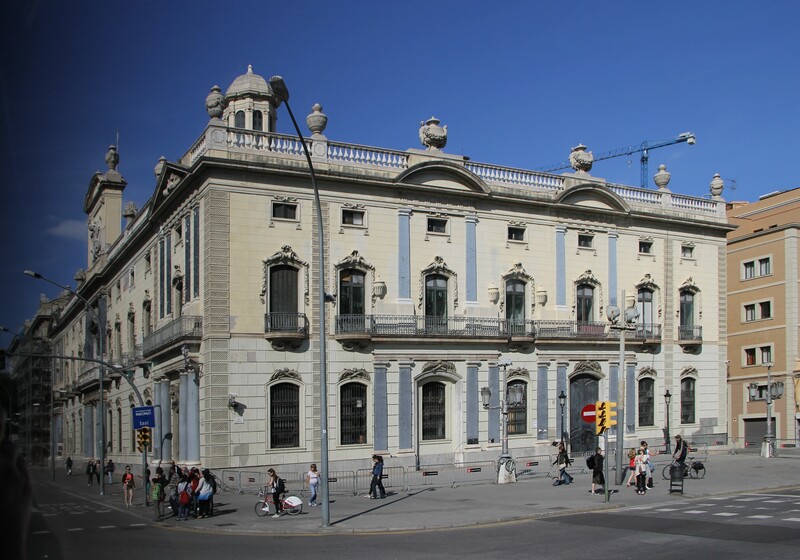 The former customs house of the late 18th century, with the beginning of the 20th century, the building housed the representative of the government of Catalonia. 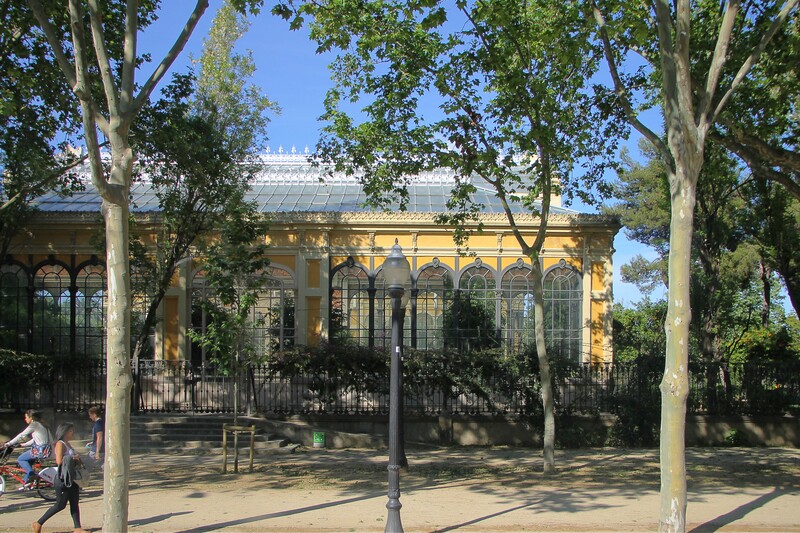 Citadel Park (Parque de la Ciudadela) built on the site of the fortress. 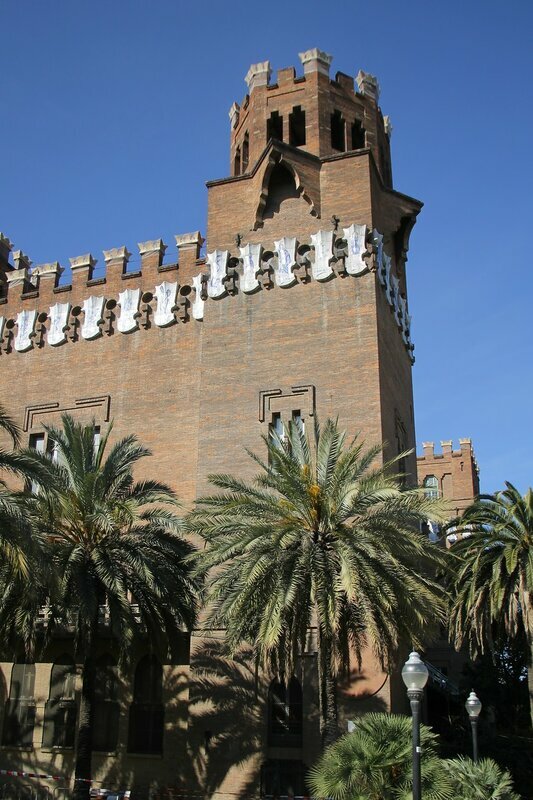 Castle of three dragons (Castell dels Tres Dragons), it houses the Museum of natural sciences. 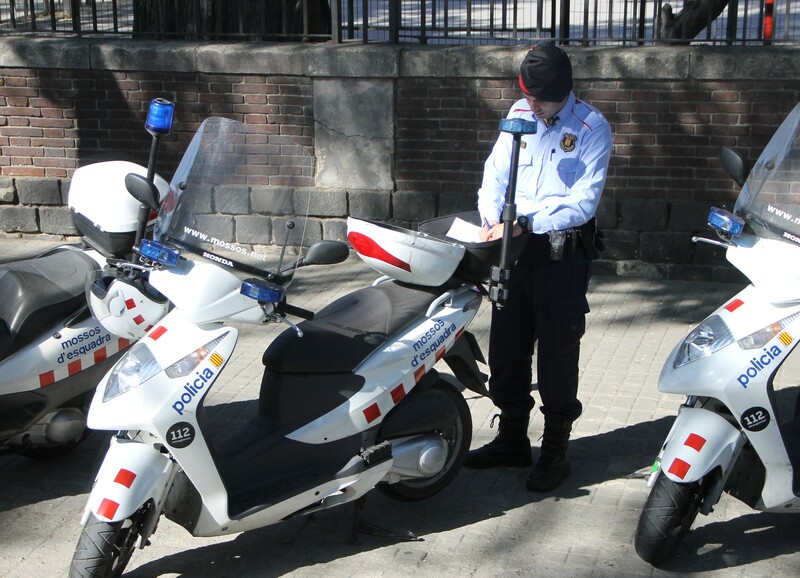 Barcelona police patrols the streets on scooters. 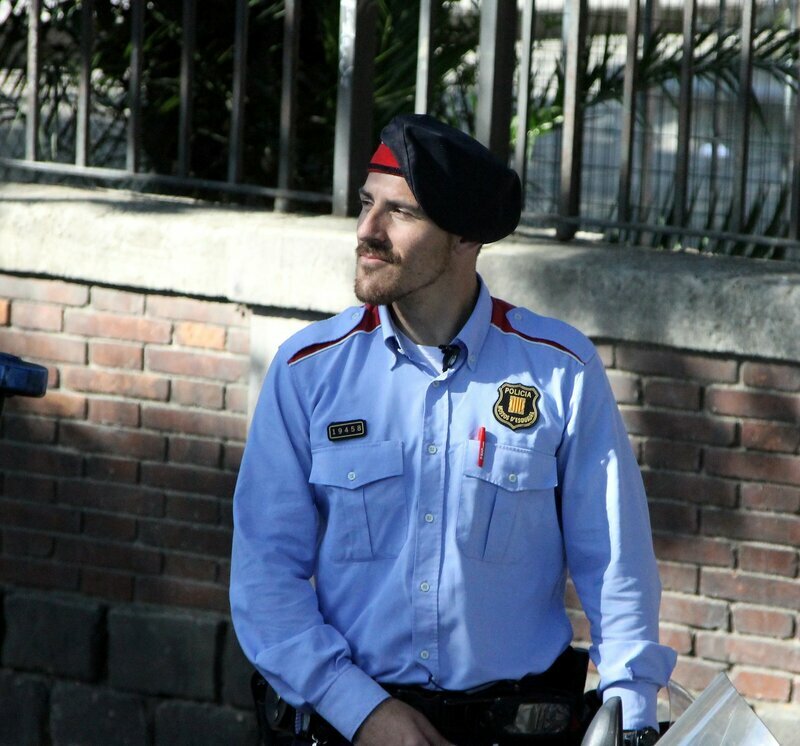 The cap of the Barcelona policemans is "barretina", a subject of Catalan national dress. 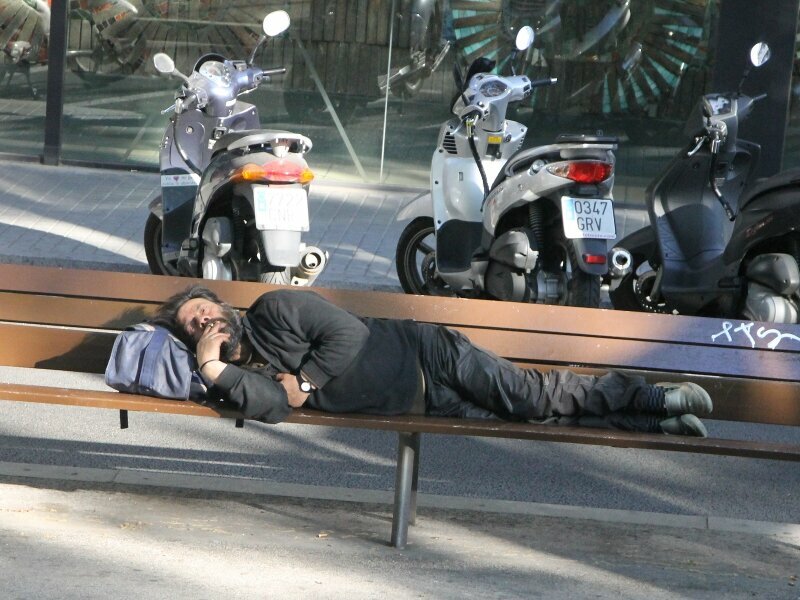 Near the police station quietly sleeping on a bench homeless tramp and no one touches him - he does not violate anything and does not interfere with anyone. 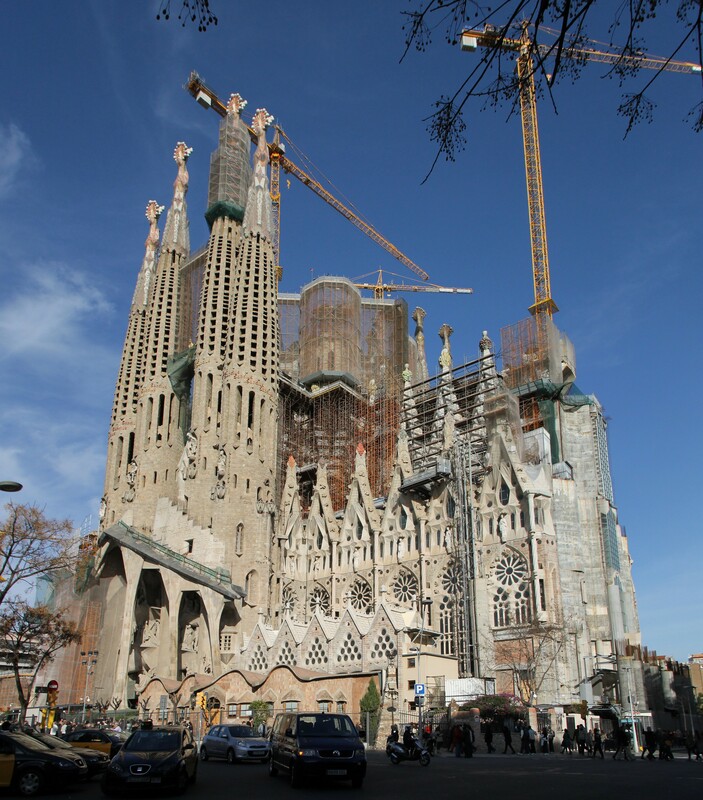 And yet one small stop we had-at the most famous object, the Holy Family Cathedral (Sagrada Familia). 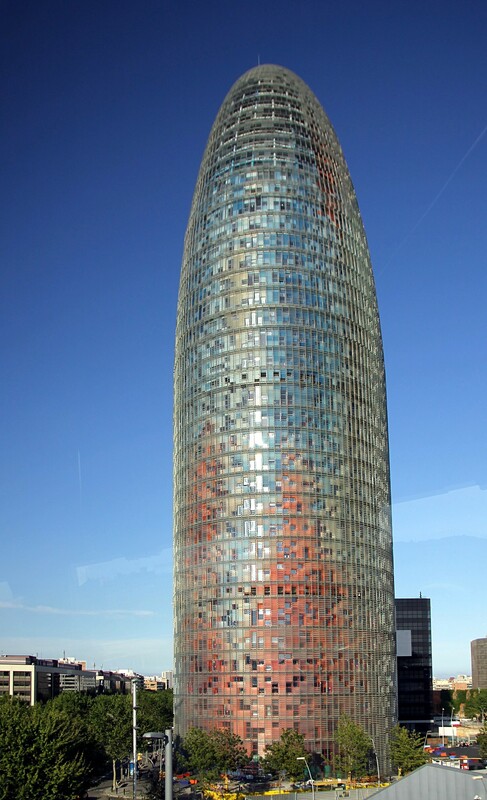 Then we returned to Avenida Diagonal and drove beside of Glories or "Agbar" tower. 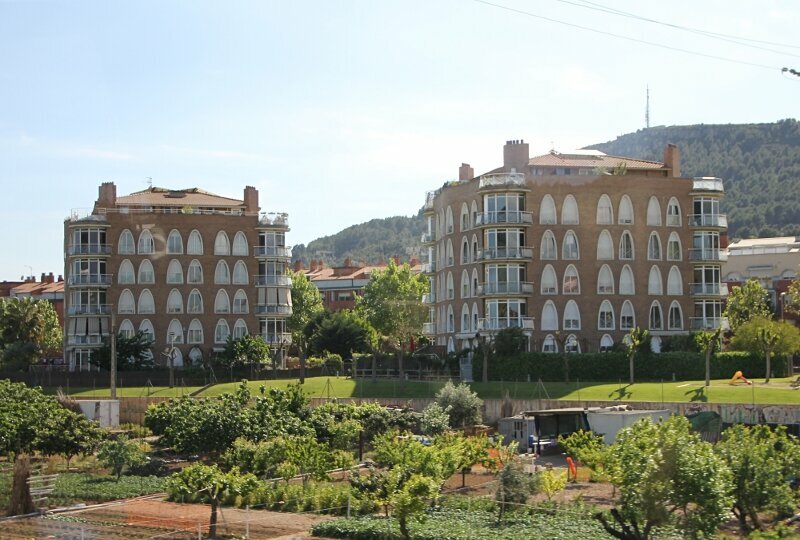 And from the Glories square along the Grand Via went in the direction to Lloret de Mar.